This near mint 61 sold for $25K. If it was a 60, it would have sold for at least $30, if not $32K. It’s 100% identical to a late 60 and that’s something worth knowing. Guitars are not automobiles. Buyers seem to forget that sometimes and that can cost you. Let me elucidate. Cars have always had what we all call “model years”. I remember when I was a kid, my Dad would take us around-usually in the Fall around Halloween-to all the local car dealers to see the “new models”. Back in the late 50’s and through the 60’s and well into the 70’s, cars got a fairly extensive redesign every year or two. Go look. A 55 T-bird looks a lot like a 56 but a 57 is different and a 58 is even more different. A 59 looks a lot like a 58 as does a 60 but a 61 is totally different again. Cadillacs from the era are another good example. Look how the fins grow to humongous from 55 to 59 and shrink back through the 60’s. It was good marketing but it was expensive. Unlike the guitars of the era, cars are a big ticket item costing thousands. 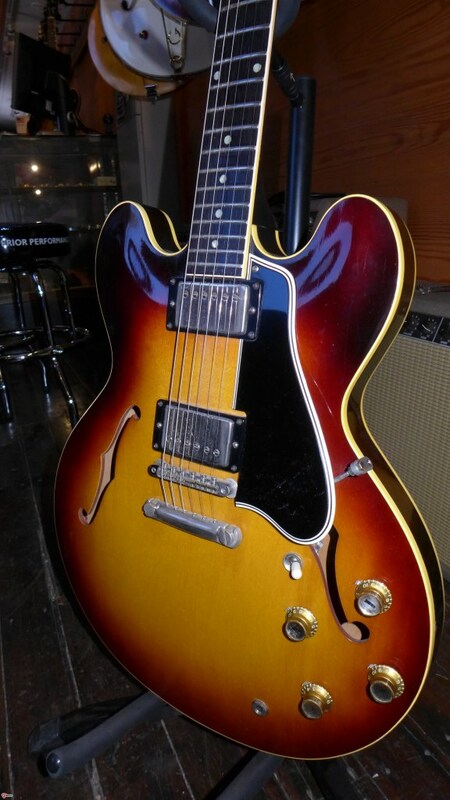 A few hundred dollars got you a 335, so complete retooling every couple of years didn’t make much sense. 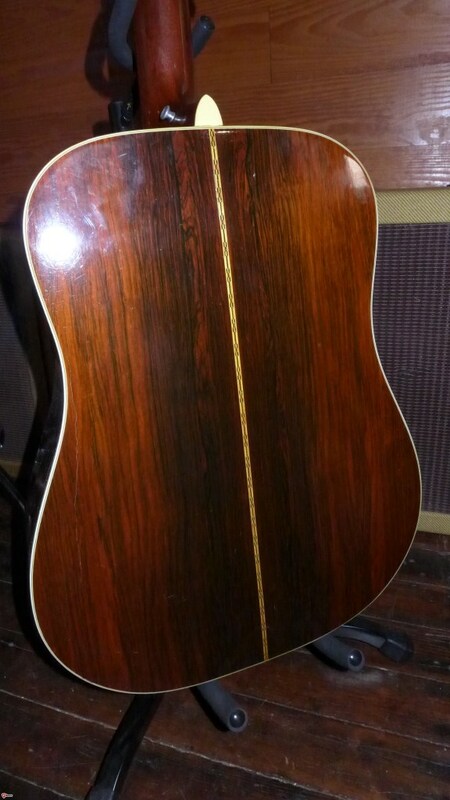 But, and I’m as guilty as you are, guitar players and collectors alike treat guitars as if they had “model years” as well and, at least during the period from the 50’s through the 60’s, they simply didn’t. There were plenty of changes but nearly all of them occurred during a given year-not on some predetermined date that would designate these guitars as “59” or “60” or whatever. 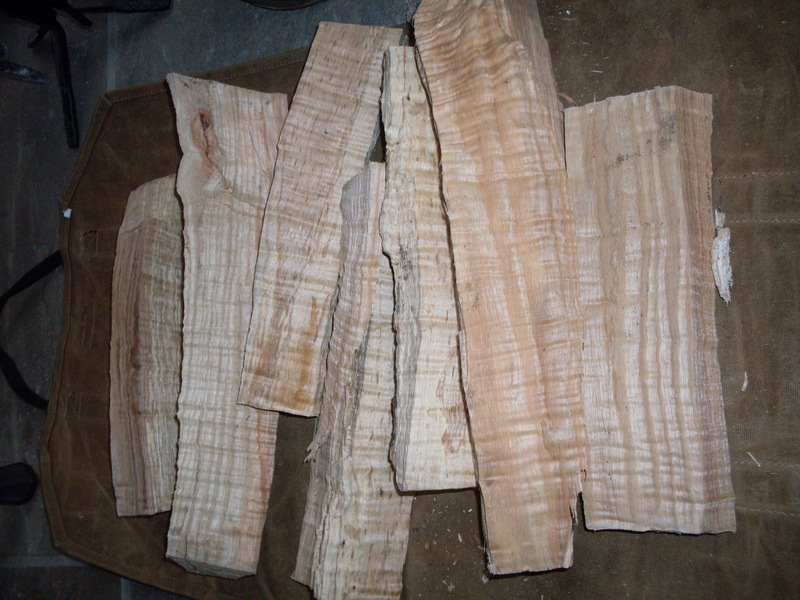 We can accurately (more or less) date the guitars we so desire but the fact that a particular guitar from a particular year is worth x dollars and a guitar from the following year is worth y dollars is a big flaw in our system of valuation. Year dating is very convenient but what I would call feature dating is more accurate. I recently sold a really clear example of this phenomenon. 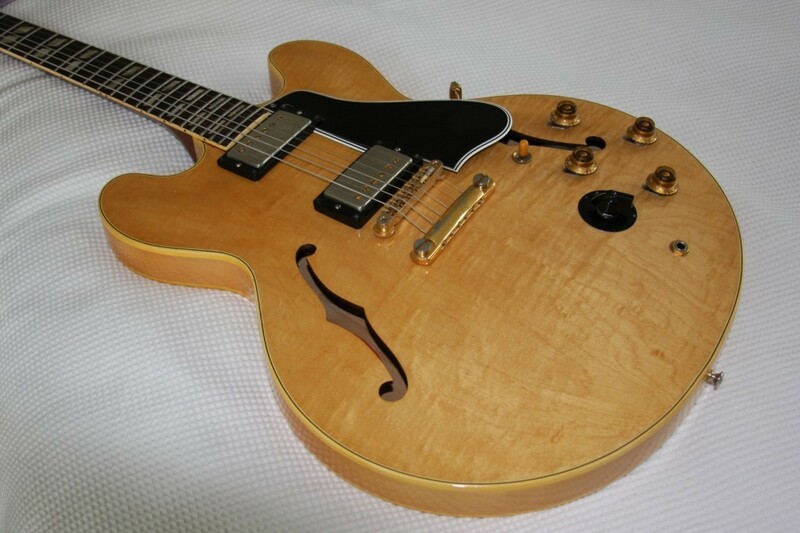 A near mint, no issue mid to late 1960 ES-335 stop tail is a $30,000 guitar plus or minus a few grand depending on how close to mint it is and some squishy stuff like tone and playability. So, why is a 61 so much less? It isn’t like they changed anything on January 1. Gibson didn’t make changes that way. They made changes when changes were needed or wanted and they often phased them in over weeks or even months. It is actually extremely rare for a change to have been made at year end. So, back to the 61. I had a near mint 61 from early January. Nice neck-wide but sort of flat, just like a 60. It had a white switch tip-just like a late 60. It also had a long guard-I thought that added considerable value to this particular 61 because the short guard is one of the reasons folks don’t pay big bucks for a 61. Interestingly, there are late 60 335’s with short guards and early 61’s with long guards. That transition thing I mentioned. It isn’t all that logical, but there it is. 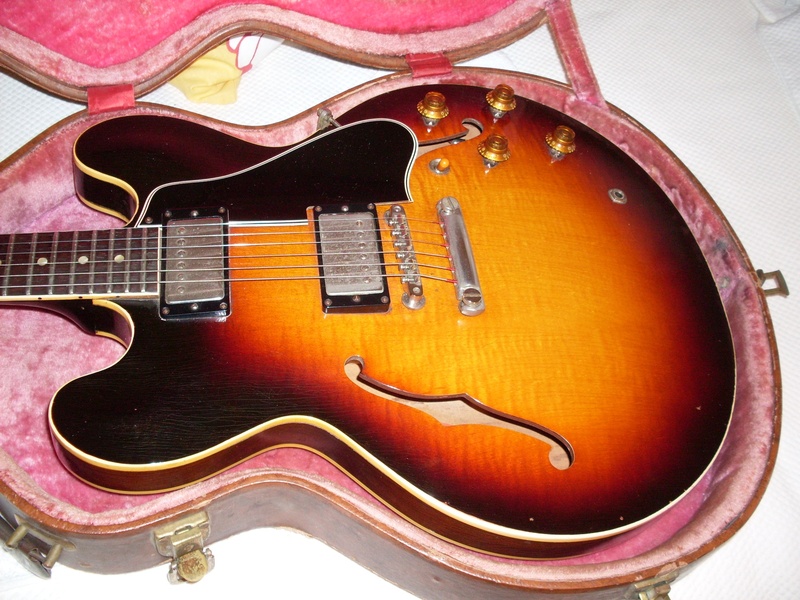 The 61 sold for $25000 which, I think, was a $5000-$7000 savings over a guitar that was made a few weeks earlier with all the same features. The buyer was smart. He looked at a 60 that was priced much higher and chose the 61. This phenomenon exists on a few other instances-more dramatically with 335’s than 345’s or 355’s. An interesting one is the difference between a late 59 and an early 60 dot neck. There is no difference. None. zip. They are absolutely identical except for the price. A mint late 59 will cost you close to $45K. A mint early 60? Maybe $38K on a good day. So, a day late for that 60 will be more than a dollar short. It will be more like $7000 short. But the guitar community reveres 59 Gibsons. Again, I don’t make the rules. A late 58 will save you a few thousand over an early 59-not as much as the 60-61 or 59 to 60 but enough. Similarly, a very early 65 is exactly the same as a late 64. It still has the stop tail at least through January and into February, so there are more than a few. A stop tail 64 is approaching $20,000 if a good clean, no issue example. The same with a 65 serial number will be at least $5000 less. 66 to 67 isn’t very dramatic, nor is 67 to 68. After that it starts getting tricky due to the major design changes that occurred when the nice folks at the Norlin Corp (beer, cement) took the wheel and drove Gibson into a sink hole. Just like an automobile. This completely stunning early 60 sold for $32000. If this was a late 59, it would have been at least $40K. Maybe more. If you picked it up, it would feel and look just like a late 59 because it is the same in every way.